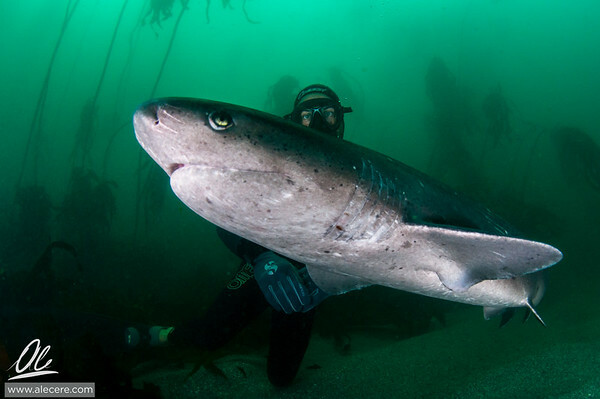 If you want to see some sharks, head to Cape Town , SA and get in touch with Shark Explorers ( http://www.sharkexplorers.com). 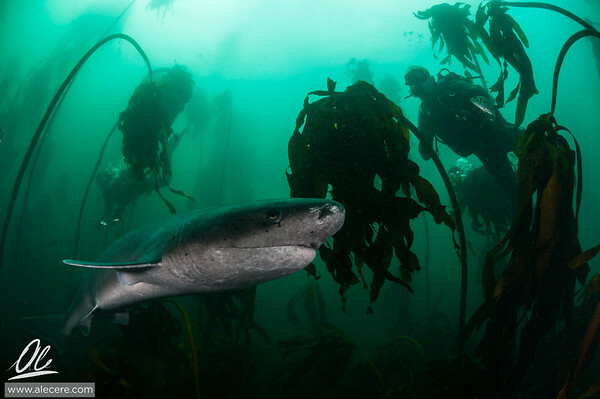 Getting in the open waters of Cape of good hope with tens of Blue Sharks and Makos, observing a Great White from the safety of the cage or having fun with Seals and Sevengills sharks in the kelp forest, the choice is really hard! 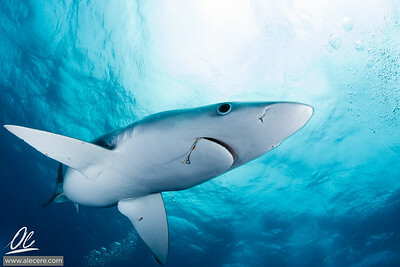 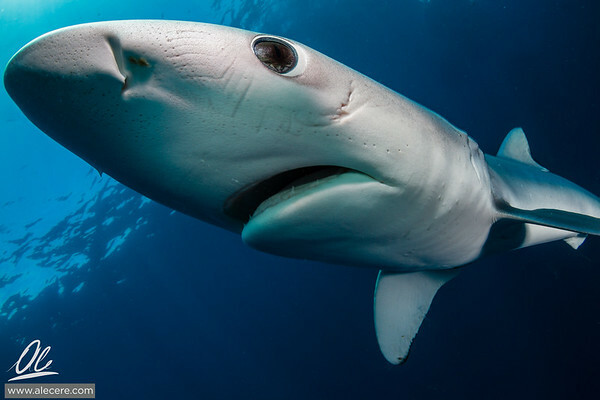 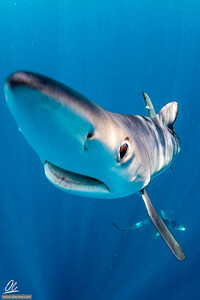 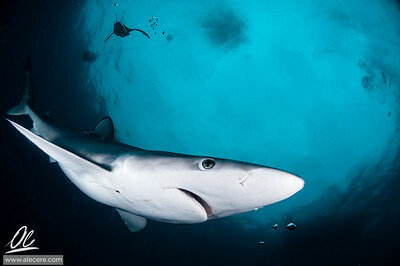 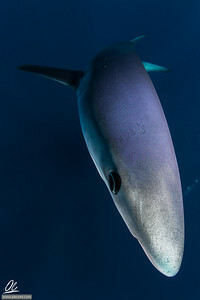 Portrait of blue shark (Prionace glauca), South Africa. 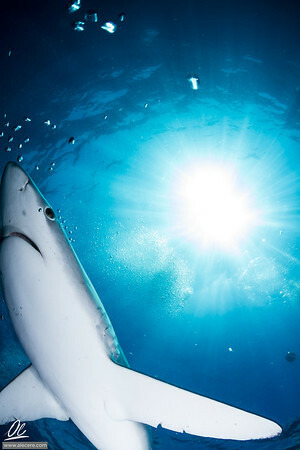 Each one on its on way. 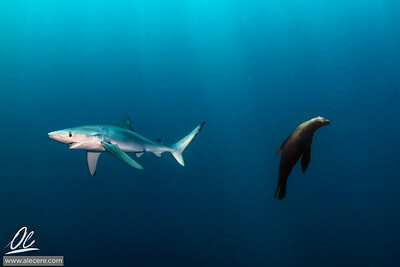 A blue shark and a Seal meet in the blue. 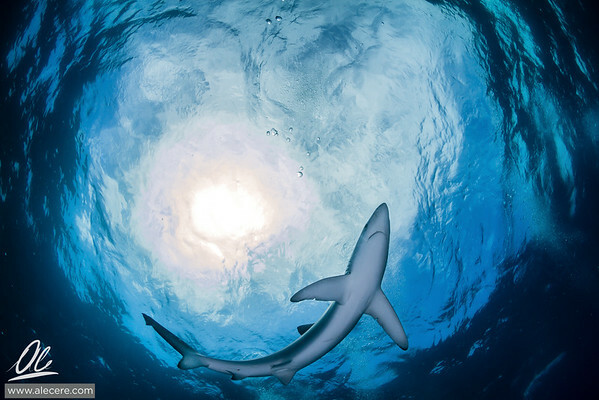 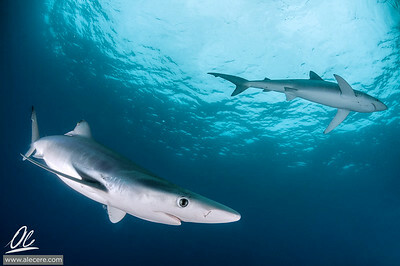 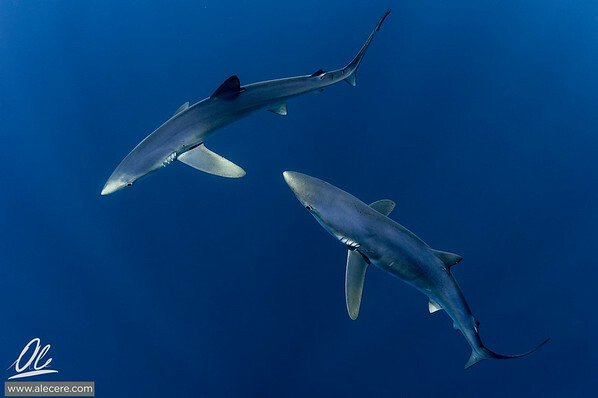 Two blue sharks (Prionace glauca) in the waters of Cape Town, South Africa. 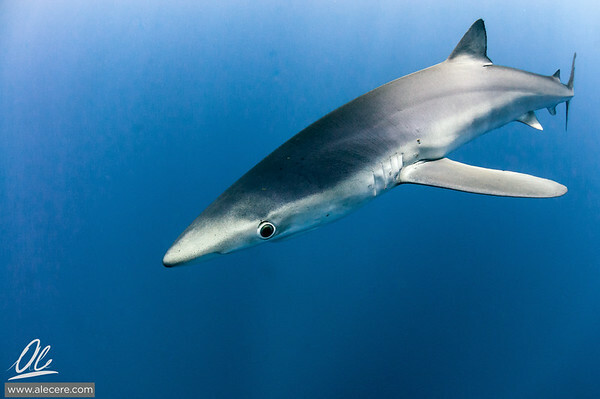 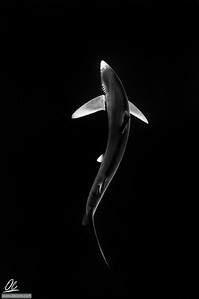 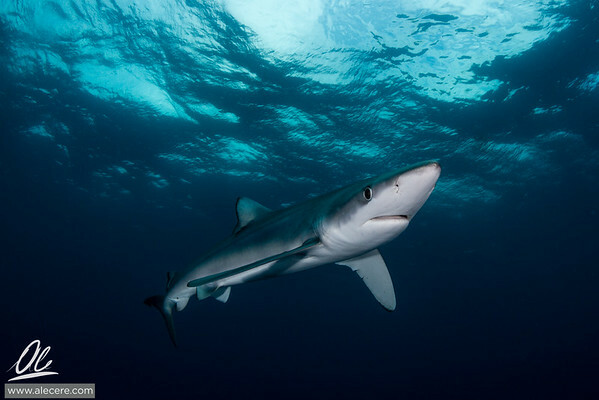 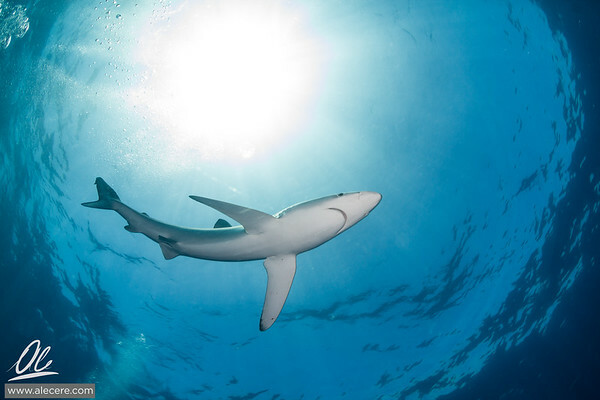 The hydrodynamical lines of a Blue Shark are emphasized by the contrast between the blue of the upper part and the white of the lower part. 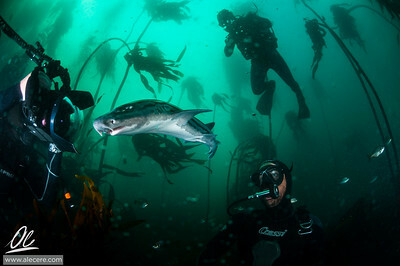 A moment of interaction between human and sharks. 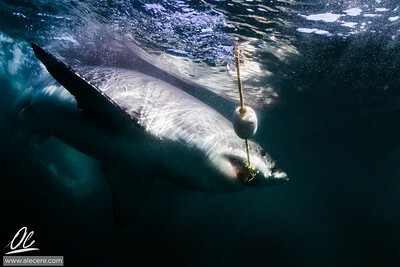 No teeth involved. 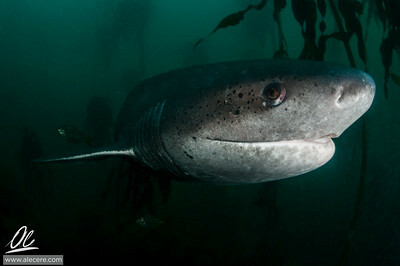 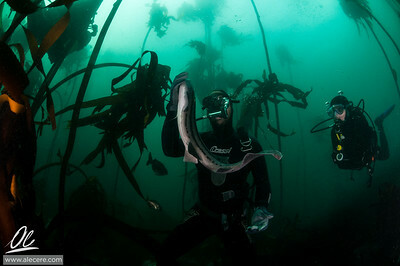 Sevengill shark in its environment, the kelp forest. 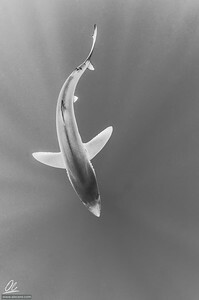 A shadow appears from the murky waters, few seconds of pure adrenaline and the great white is there, doing its business with efficiency and elegance. 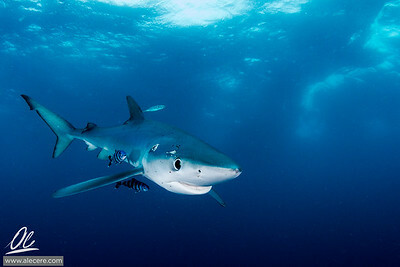 This blue shark had definitively met some humans before.